They are built in two versions: with tap and with a lever. They are the most cost-effective solution for cutting small and medium-thickness metals. Mixing takes place in the cutting head for greater work safety. The mixing system reduces the path of already mixed gases practically to zero, reducing the danger of flame back flow to minimum. They use ANME and PNME nozzles. 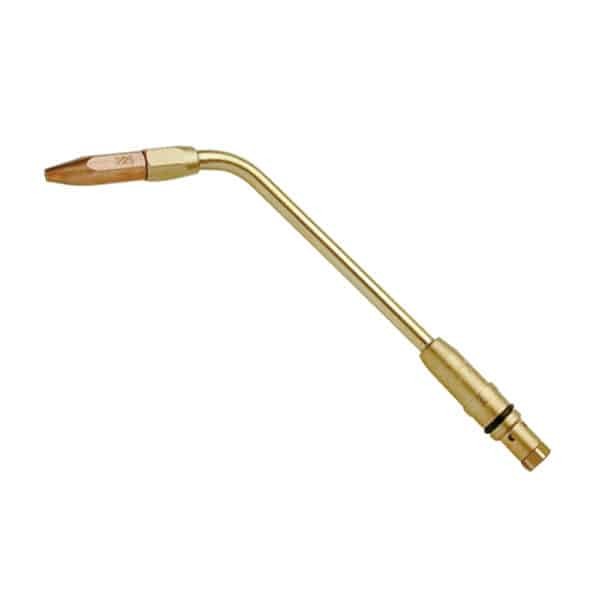 All lances are APRAGAZ approved and have been tested individually in operating pressure with a lit flame. All constructive components are also separately marked to ensure greater safety during coupling. High heating power. 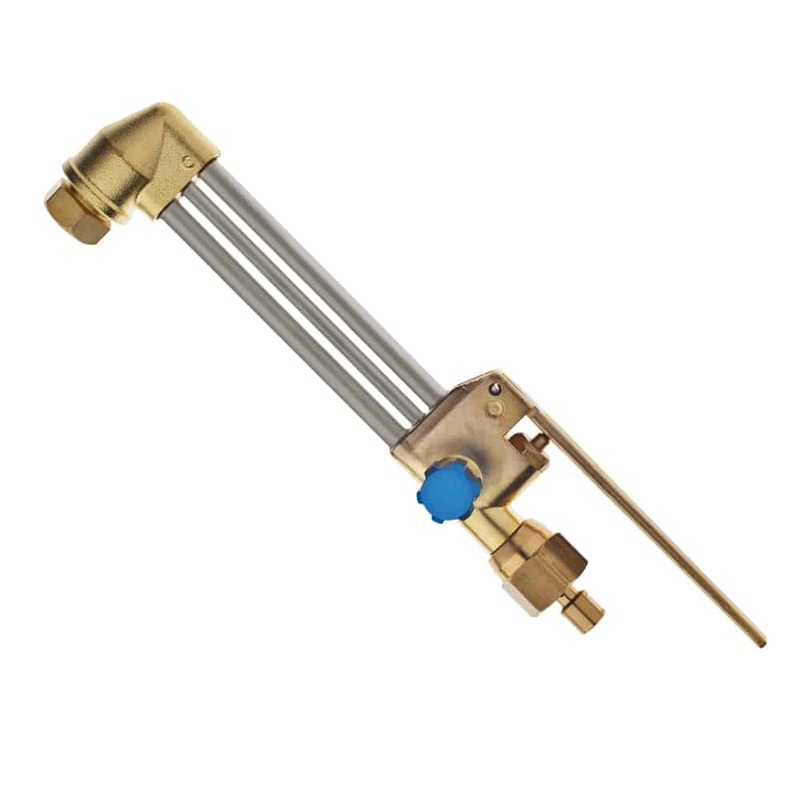 Lances are supplied with nozzle. 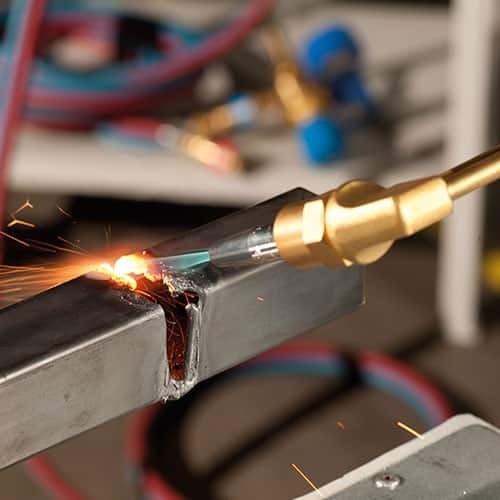 These lances allow for absolute safe operation even for high power flames in all surface tempering operations, forging, heating of materials before welding, large brazing and annealing, etc. Nozzles should be selected based on cutting thickness and on the gas to be used. Cutting thickness is marked directly on the nozzle and are indicative. 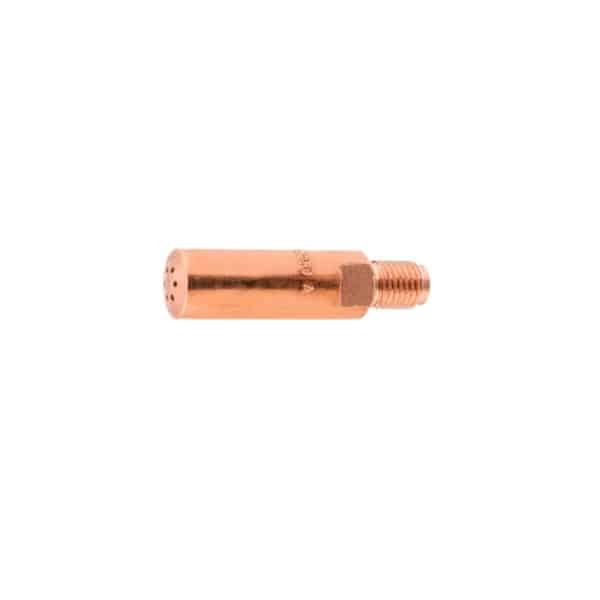 ANME nozzles are single block self-mixing copper-coated nozzles to be used for cutting with acetylene. 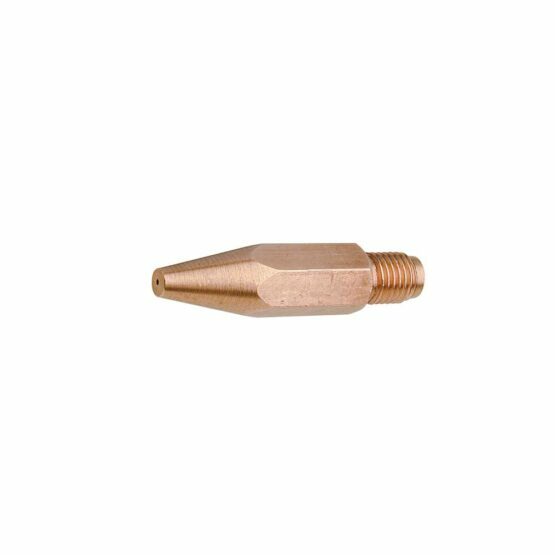 PNME nozzles are two-piece self-mixing nozzles with brass interior and copper exterior, to be used on cutting with propane. 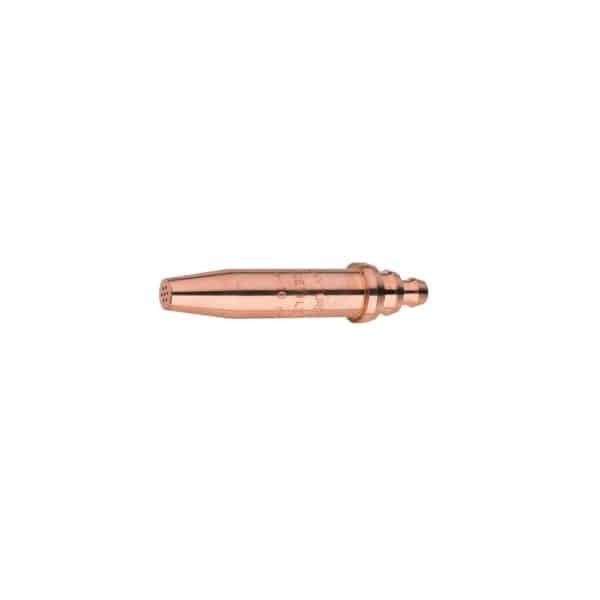 They are both two-piece, flat housing nozzles with brass interiors and nickel-plated copper exteriors. Cutting thickness is marked directly on the nozzle and are indicative. 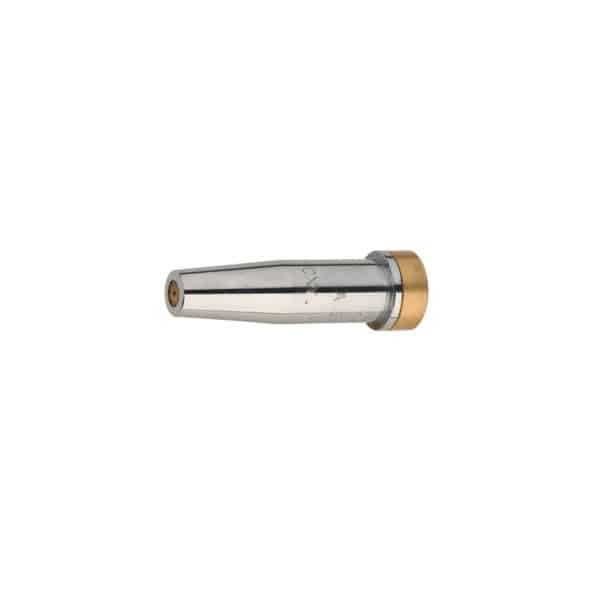 Nozzles should be selected based on cutting thickness and on the gas to be used. 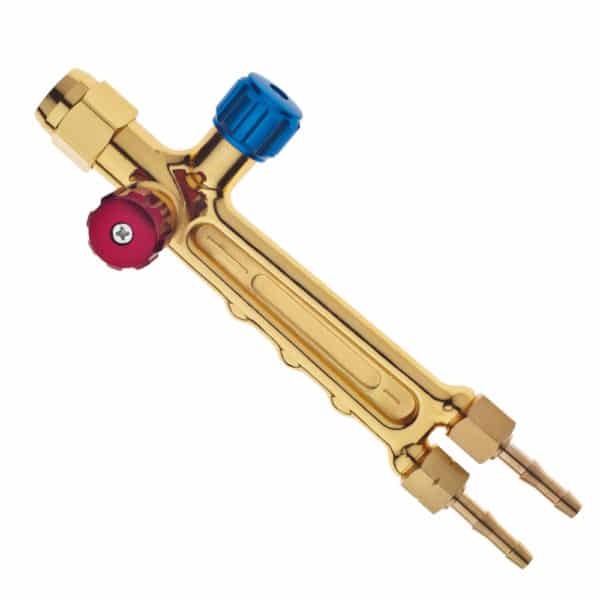 AC nozzles are to be used with acetylene, while NX nozzles are used for cutting with propane. These cutting lances with suction mixing guarantee the highest cutting quality. When gas is mixed in the handgrip, the lance is already ready and the gun is " red" directly on the piece. They use AC and NX nozzles. 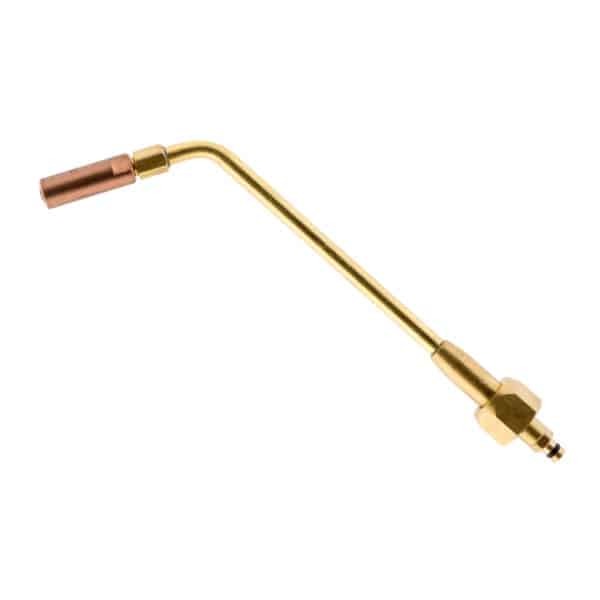 These lances are particularly useful for thermo-hydraulic works and are ideal for welding in special positions. 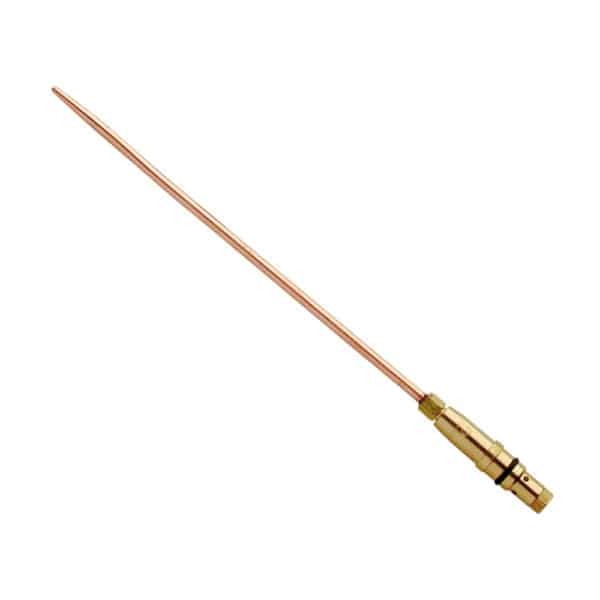 Complete with brass mixer and special copper tubing with hammered ends. To be used on our MAXI handgrips for welding from 0.4 to 12.5 mm. 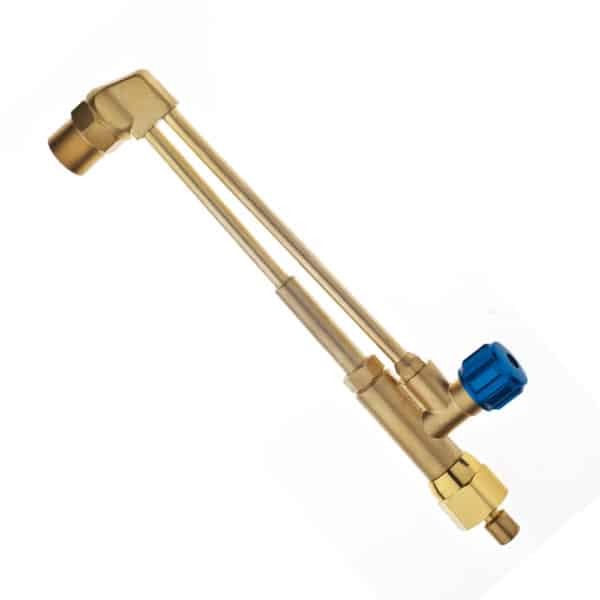 Lances are supplied with nozzle. 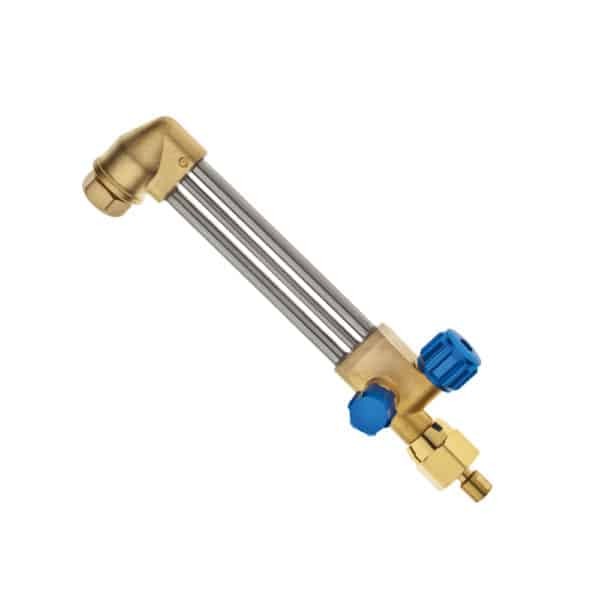 Lances are supplied with nozzle. To be used on our MAXI handgrips for welding from 0.4 to 12.5 mm. A range complete with handgrips, lances and nozzles for welding up to 12.5 mm and cutting up to 300 mm.